How to Create a Rainbow Logo? It interprets versatility of life. A beautiful atmospheric phenomenon is associated with a transformation, a bridge between the Universes. 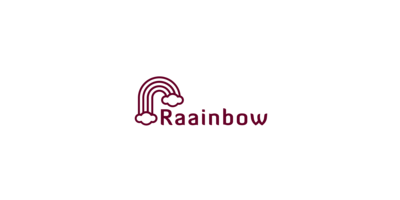 The rainbow, a universal symbol, is depicted on the logos of many companies from different fields of activity (from publishing houses to airlines). But, it seems, the logo is best suited as a symbol of companies that are engaged in graphic design, computer design, etc. The richness of colors on the emblem is also perfect for manufacturers of goods for children.Skittles, GOOGLE, NBC - enough to understand how winning rainbow images can be. The social organization Gay Pride also uses such color solutions as an identifier, so for social projects such a color solution can be ambiguous. Heavenly rainbow does not have clear boundaries, therefore, it is better to avoid contrasting faces and sharply breaking lines in the emblem. Try to make the transitions natural and smooth, and the lines curved. If you touch the colors, there is no limit, the main thing is not to be afraid to experiment and avoid deep black. How do I create a rainbow logo for my brand?